A waiting room is the equivalent of a first impression. Properly decorating a waiting room can help clients, patients, or future employees feel at ease and will determine what they think about your company. Sitting in a waiting room isn’t enjoyable especially given the circumstances. You may be sick and dread a visit to the hospital or doctor’s office. You may experience anxiety as you await your interview process. Whatever the case may be, waiting around in a waiting area isn’t fun. However, the experience can become more calming if you’re in the right environment. A waiting room is the equivalent of a first impression. 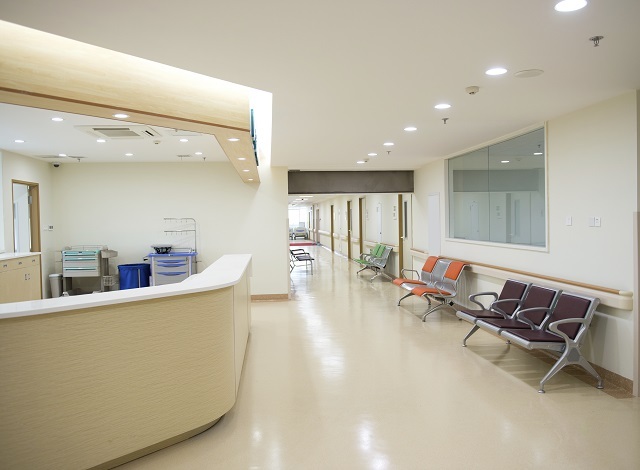 Properly decorating a waiting room can help clients, patients, or future employees feel at ease and will determine what they think about your company. Keep reading for tips on what waiting room furniture serves to be most beneficial for you. The reception desk is what most people notice when they first walk in. It is the central point of any waiting area. The reception desk should be clean, neat, easily accessible, as well as great for storage. Choosing the shape of the desk matters as well. One popular and necessary trend when choosing a receptionist desk is that they have an elevated platform. That way, confidential records are hard to view. Durable wood is yet another suggestion. Wood grain laminate withholds damage. The most important tip, more important than style or shape, is measuring your space. Nothing is worse than having a test that’s too big, making it hard to maneuver around, or too small and awkward looking. Your seats should undeniably be professional looking. However, they should also provide comfort. Comfort always trumps style. Make sure that you measure the seating area as well to ensure that if the waiting area has heavy volume, a plethora of people could sit down. Seating placement matters as well. An open U-shape works here because visitors can openly communicate with each other and view what’s going on around them. People with their backs turned toward each other, or the receptionist desk does not create a warm, environment. Test the furniture that you pick out and see if it’s ideal for extended sitting periods. Choosing the right furniture is not the only thing to consider. You should ask yourself if guests have a place to hang their coats, if refreshments are available, and most importantly if the receptionist has a charming disposition. It’s the little things that count as well. This entry was posted on Thursday, March 21st, 2019	at 1:36 pm	and is filed under Furnishing Reception Rooms	. You can follow any responses to this entry through the RSS 2.0	feed. Responses are currently closed, but you can trackback from your own site.